Community. It is a word we use a lot around here because it’s not only one of our stated values, but also the key to creating lasting change in Africa. Community engagement is at the core of the work we do alongside our partners in Africa. However, community engagement in the United States can transform lives as well. We have been fortunate to step into a project with our friends in Denver, Colo., that we hope we can replicate across the U.S.
A group of donors in Denver has come together to engage their circles of influence to raise funds over the period of a year for new work that we are undertaking in Mozambique. The group has set a goal of $100,000, and this project will build new wells and repair existing ones, as well. They will also train community health workers to promote safe hygiene practices across their community. 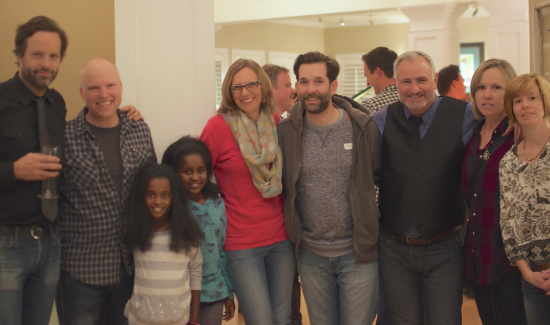 To kick things off, we held a Jars of Clay house concert this past weekend in Denver to share the story within their community. Over 100 old and new friends gathered to hear more about how they could help us begin work in Mozambique. It is with great joy that I am able to report that they have raised over $20,000 for the project so far! They even set up a Colorado Mozambique Team fundraising page to track the progress they’re making in helping us reach The Next Million. It’s been amazing to watch so many people step into the Blood:Water story, and so quickly reach a quarter of their lofty–but achievable–fundraising goal! Thank you, Denver, for showing us the power of community! His beard is big and full of secrets. Meet Blake!